Jim, thanks for another great post! I was able to get this FSCM 9.1 appliance running but without a decoupled app home -- the nfs mount failed. I must have something wrong with networking but with your detailed instructions I should be able to figure it out. I had to "skinny" down the VMs since I am running on a 4GB RAM laptop but was still able to boot everything and log in, run a process, etc. I had to change the kernel parameter msgmni to 1024 to boot the app server on the PIA/AppBatch VM. Jim, again a HUGE thanks and also a shout out to Chris Malek for alerting me to these OVMs, Nick Gasparotto for his tireless posting and especially to Mark Johnston and the folks at Oracle for providing the OVMs and other documentation. I hope they keep coming! @Jimmy, thank you for the validation. I'll take a look at my msgmni kernel parameter. I spent a lot of time on Nicolas's site pouring over his installation documents. I would not have this working without him. Thank you guys for the kind words. Glad to see posting help people. And again, very nice Jim, your blog entries about the Peoplesoft OVM in VirtualBox are really great and nicely detailed and explained. Jim, if you are ok, I can add these two entries in a sticky post on top of the OTN Peoplesoft OVM forum's page as a reference. Let me know. @Nicolas, thank you. A sticky post would be great! Hi Jim. I followed your steps to the letter, but am having troubles starting my AppServer as well. I went through th eentire install(even after my Appserver failed to start). Since then, I now login to OS as psadm2, and attempt to run psadmin script. Again, fails upon Appserver Start(2nd process). I think my env is set correctly(TUXDIR, LD_LIBRARY_PATH , LANG). Jim, success is sweet. Here's what I did to get hings running. 1.Found that I needed to change my DB username to VP1/VP1, instead of QEDMO. 4. manually start startPIA as root. Thanks so much for pioneering this! Hi..Thanks for such a good post. Good stuff here.. and I'm a noob at the Linux stuff mostly. Long time psft developer so I had to give this a try but ran into trouble on running the template script. I'm getting an error where it can't find "press_anykey" which totally messes up the script. I didn't catch it at first and so it ran, and pretty much messed things up. I think I'm going to have to re-extract the database file and just start all over, although that takes a while to get through just those parts. Any help on why it can't find "press_anykey" ? @JB, that is a good one. I'm not familiar with press_anykey and don't have an instance running in front of me. You might try a grep press_anykey * within the template directory to see if it shows any results. Another option is to post on the OVM forum. You should not have to start over. The template script will do a full re-initialization each time. I don't remember how many times I accidentally renamed my SID while trying to figure it out. Just curious, can I still have my windows 7 OS for my laptop? or I must changed it to Linux OS in order to have PS Template on VirtualBox? @aLuN, yes, absolutely. VirtualBox is different from OVM. VirtualBox is an application that runs in Windows, Linux, etc in a manner similar to VMWare. Just download and install VirtualBox for your host operating system. Thanks alot Jim. 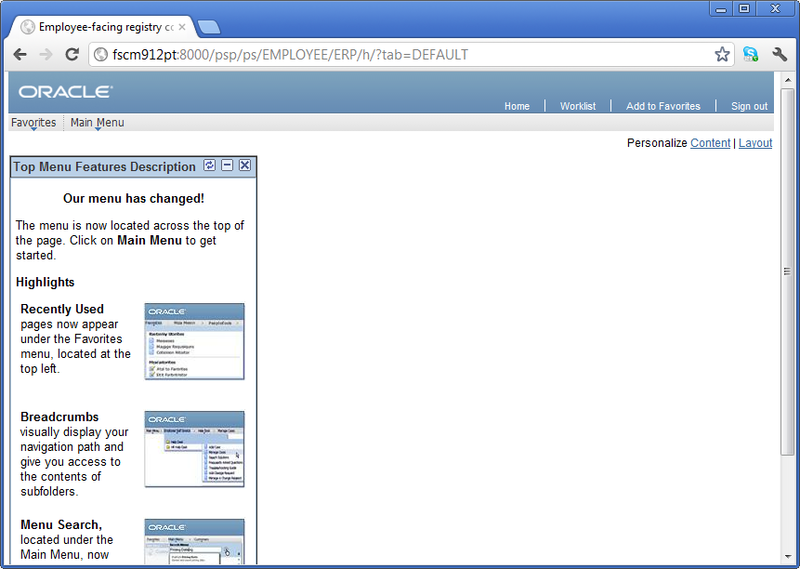 I will proceed to download the template for HCM and give a try then. I'm totally new to this VM thing, so might be posting lots of questions later on. @aLuN, My pleasure. Just be sure to start with OEL 5.x and use the Oracle public yum repository to get current on OEL 5 as well as install Oracle Validated. Those with Linux experience have reported very, very good success. If you read through the comments, you will see that some people have reported problems. Be sure to check out this meta-post with links to OVM/VirtualBox conversion documentation. Getting back to this, finally gettin gthe database up and running, painfully, I might add. Running the template script for App/Batch/Web.. Looks like there's a premissions issue, See below, were it says "ERROR:Unable".. then it asks me a question that wasn't covered in your steps. You have chosen to configure a Decoupled Application Home. @JB, a friend used my rough outline to create a guide with lots of details. You can find it here: Running Oracle VM Templates on Oracle Linux guide (Part 1 of 6). Take a look at it and see if it answers your questions. I have been all over that since you posted a link about it. That's what got me started again on this. I have been bouncing back and forth between the two. I think the root of my problem is that the script can't find "ovm_configure_network", which is KINDA important. I'm trying to search for that to see where it is. I think I finally found one of the problems that's causing me so much grief. /usr/lib/oraclevm-template/functions is an actual file full of delivered functions that are used in the templates. When I was following your examples (and the other one) we edited that file and added stuff to it. Well it was blank when I edited it. It's not supposed to be. That's where Press_Anykey (a previous post problem) is located, as well as ovm_comfigure_network. Do you have anything that shows the contents of that file, other than what we added to it? @JB, since we are using Oracle Linux, not OVM, that file didn't exist when we started. I created the file and added function "stubs" for only the functions required to run the OVM script. I do not know what normally comes with that file. You can comment out the network configuration portion of the script. You configured the network when you configured your VM in VirtualBox. The network and password configuration portions aren't required for this installation. You can ignore the errors those two steps throw and just continue. The part about the remote application home directory is used by the script to NFS mount the db image's PS_APP_HOME into the PeopleTools image. I do remember that step, but like you said, neither of the bloggers on this topic blogged that step. Unfortunately, I can't remember what I entered at that step. The NFS mount is covered in step 11, so you could mount the remote app directory in advance, CD into the mount point and make sure you can read the files. If all is well, go ahead and run the script. Shockingly, I have finally gotten through it and have it working. I built a demo on my laptop on SQLServer in ALOT let time than this, but then again, I didn't know Linux and I have learned some stuff, so that's a good thing. @JB, glad to hear it is working for now. Once you get the hang of it, you can do a full OVM/VirtualBox conversion in about 15 minutes. If you perform a manual install, think it takes longer than that to just install one of the PeopleTools dependencies (WebLogic, Tuxedo, etc). Fortunately, once 9.2 and PT 8.53 release, we won't have to deal with this. We can just use one of the PUM VirtualBox images. I am a noob in this field. If you guys provide a detail steps to resolve this problem, that will be great. @Debo, I wish I could provide you with more guidance in that piece. My entire trace is listed in the blog posts, along with all of the questions and answers. It is possible that we are working from different versions of the VM templates. NFS mounting the PS_APP_HOME is described in step 11, so, worst case, you can grep grep the scripts directory for that portion and comment it out. 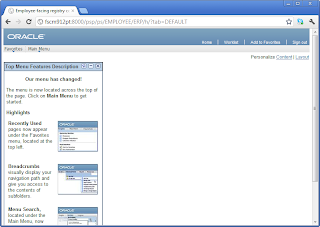 You might also try posting your question/error in the PeopleSoft OVM Template forum. Enter the full path of the remote Application Home directory”, and it prompts me to enter a path for remote PS_APP_HOME. I just used the value of $PS_APP_HOME configured for user psadm2. Later on the log showed that tuxedo hadn't got started up. After the script oraclevm-template.sh finished (no other errors/exceptions encountered), I switched to user psadm2, and cd to $PS_HOME/appserv/, then ran ./psadmin to administer the Application Server (I didn't change the App's domain, so it remains APPDOM). The only change I made, is to reconfigure the domain - updated UserID (PS), UserPswd (PS), and ServerName (fscm912pt). After this I updated UserID (PS) and UserPswd (PS) for the process scheduler as well. Next I'm going to re-configure the dist node. for me, it seems that the script get stuck on that. @Francisco, what version are you using? I don't recall that step. I´m going to restart the process using OEL 5.2 as you did. @Francisco, ah... right, I see it in the output up there. I think the items there under "running" are SQL, so you may be able to look through the SQL scripts to see if you can figure out why they are taking so long to run. It sounds like your instance was fine, and that there was nothing wrong with your OS, app, or tools installation. Just long running SQL's? Finally I got it working. I could see the login page but when I used VP1/VP1 it said the App server was down. Is there any script to start the application server? The application server is down at this time. Any ideas? Do i have to execute any other script? same VM. This means that some additional automated setup can be done. Step 1: Change the directory loacation to /etc/. Step 2: Open the file vi sysctl.conf. Step 3: Compile the sysctl.conf file using sysctl -P.
Step 3: Add the following limit perameters to that file under the # Controls the maximum size of a message, in bytes. Step 5: Boot the apps server, Now it will work fine. @Francisco, thank you for the information. Did you install oracle-validated prior to running the vm scripts? What about application server, which scripts do I have to launch? Currently I´m only able to navigate to PSFT but when I logon I get message Application server is down. @Francisco, thank you for the information. I would have thought oracle-validated would have set those parameters for you. In regards to starting the app server, when I first started, I would just su - to psadm2 and then run psadmin to start/stop the app server. As an alternative, however, there is a daemon start/stop script in /opt/oracle/psft/vm called appbatch-start. You can symlink this into /etc/init.d and use chkconfig to set the run levels. You should also be able be able to run this script from its current location with the parameters start or stop.